Calling on the natural world around her for inspiration, Eileen Mayo's extraordinary skill with line, colour and composition made her one of Britain's foremost print artists in 1930s London, where she exhibited alongside the likes of Claude Flight, Sybil Andrews and Cyril Power. ... read full description below. Calling on the natural world around her for inspiration, Eileen Mayo's extraordinary skill with line, colour and composition made her one of Britain's foremost print artists in 1930s London, where she exhibited alongside the likes of Claude Flight, Sybil Andrews and Cyril Power. Mayo left it all behind when, in 1953, she abandoned London for Sydney then Christchurch, each move generating a new body of work. 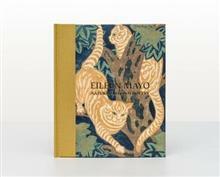 This is the first substantial publication on Mayo, publishing for the first time many of her exquisite neo-romantic wood engravings, prints, designs and book illustrations that continue to enthral and delight audiences.